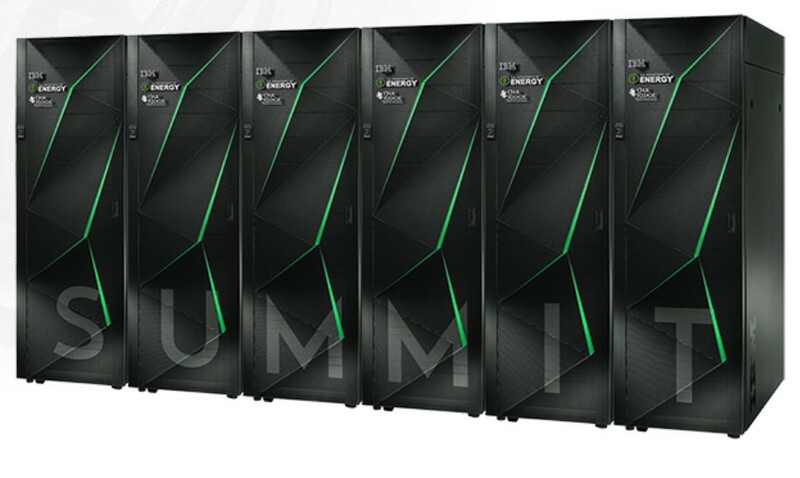 The Summit is almost ready to go online and it will become the fastest supercomputer ever built. It will average between 150 and 300 petaflops of processing power and will integrate 4,600 nodes that are powered by IBM and Nvidia processors, consuming 15 MW in full load. The scientists over at Oak Ridge National Laboratory in Tennessee, USA are finalizing the construction of what they claim to be the world’s fastest supercomputer codenamed Summit. Currently, the top 3 supercomputers are the Sunway TaihuLight, the Tianhe-2 (both from China), and the Piz Daint located in Switzerland. The Sunway TaihuLight can compute up to 125.436 petaflops, with an average of 93.015 petaflops, which completely dwarfs the current fastest US Titan supercomputer that peaks at 17.59 Petaflops. Scientists expect the Summit supercomputer to average somewhere between 150 and 300 petaflops. It will integrate 4,600 nodes and will consume around 15 MW of power in full load. Each node can process more than 40 teraflops with the aid of two IBM Power9 CPUs and six Nvidia Volta GPUs. Individual nodes get access to 512 GB of DDR4 RAM, 1.6 TB of non-volatile memory and an unspecified amount of HBM. Overall, the Summit will integrate more than 10 PB of RAM and 250 PB of storage with read speeds of 2.5 TB/s. Thinking ahead, the Oak Ridge National Laboratory staff is already preparing to build a successor for the Summit. This one will most likely not be a quantum supercomputer, and should be ready by 2021, with a processing power peaking at more than 1,000 petaflops (1 exaflop).